Commercial grade equipment a few clicks away. Clean. Disinfect. Vacuum. Sanitize. Degrease. Deodorize. Any surface or material. 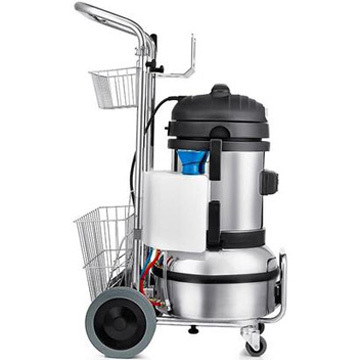 Get a deeper clean with a commercial steam cleaner equiped with detergent injection and a built-in wet/dry vacuum. The Carmen Super Inox™ steam extractor is perfect for the most stubborn cleaning situations such as car detailing, gum removal, grout cleaning or kitchen degreasing. 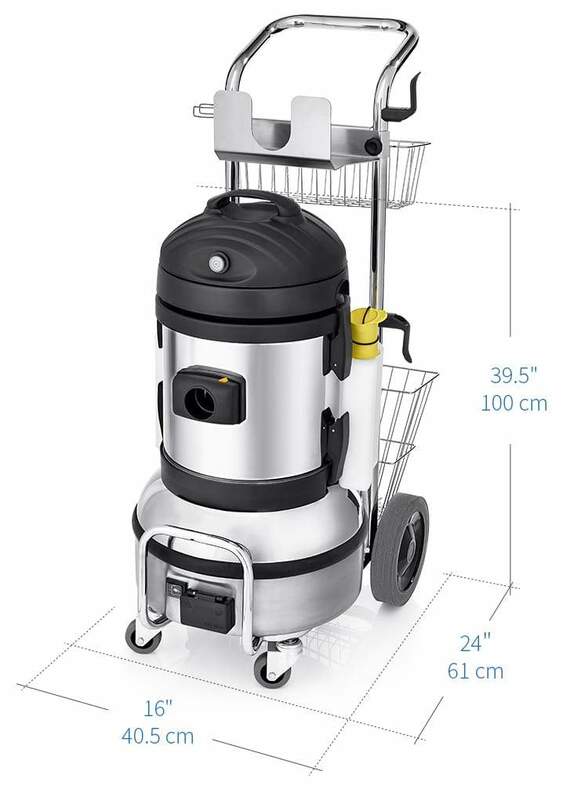 Featuring continuous refill technology, adjustable steam pressure and heavy-duty accessories, this professional steam cleaner makes the perfect business partner. We provide both 110v & 220v model, depending on conditions of property and wiring age.Don’t you worry, we provide the necessary 110v to 220v power converter if it fits your conditions. 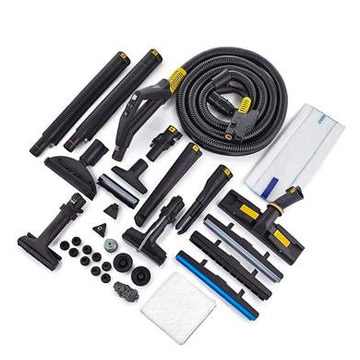 The Carmen Super Inox™ steam cleaner comes packed with a 34-piece heavy-duty steam vacuum cleaning kit, complete with a full set of long-lasting detailing brushes. Steam temperature up to 365°F / 180°C. Detail cars, clean leather and fabric seats, wheels, hard surfaces, engines, door jams, consoles and remove stains. Deep clean grouts lines and porous tiles to restore their shine. Clean and degrease commercial kitchens. Perfect for cleaning businesses and restaurant owners. How hard is it to use it? We are offering competitive packages for various time-frames. Standard rental fee includes the machine, along with all necessary nozzles and accessories. Please note, some of the accessories are not free and will be charged per use. Additionally, we will be charging a refundable deposit. Still have questions or want to buy one for yourself?